The VapeOnly vAir-P Coil is designed for vPipe 3 Atomizer and can be used in vPipe III kit and Zen Pipe kit. The VapeOnly vAir-P Coil is designed for vPipe 3 Atomizer and can be used in vPipe III kit and Zen Pipe kit. It is an 0.7ohm BVC coil and can bring you an amazing vaping experience with vPipe 3 Atomizer. 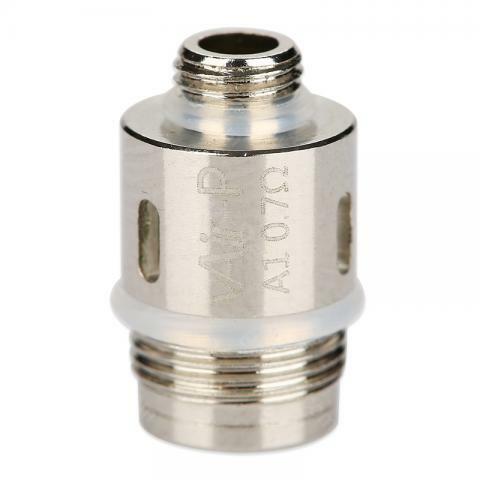 Get them as spare parts for your e-pipe! 5pcs each pack. • It is designed for vPipe 3 Atomizer and can be used in vPipe III kit and Zen Pipe kit. The request did not arrive because they have been withheld at the Customs. TO P is Air-this is not R's ponsabilidad tent gave me the money. Very happy with solving the problem. VapeOnly vAir-P Coil 5pcs/pack is designed for vPipe 3 Atomizer and can be used in vPipe III kit and Zen Pipe kit. It is an 0.7ohm BVC coil.